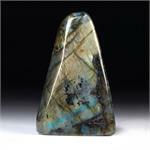 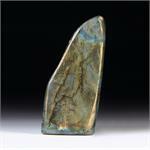 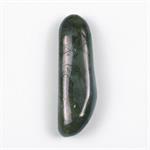 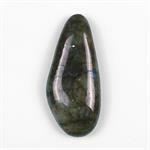 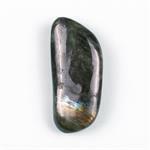 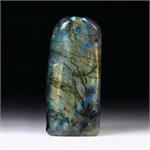 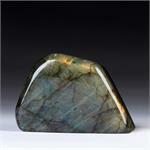 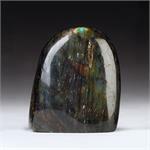 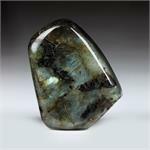 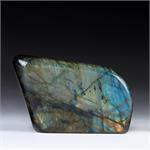 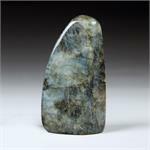 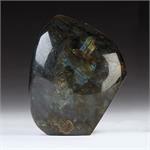 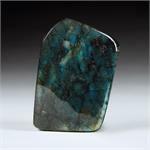 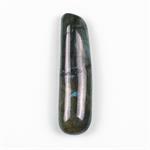 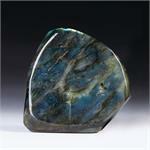 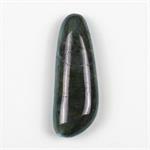 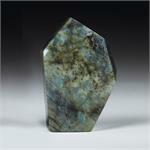 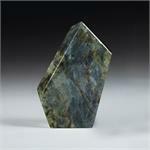 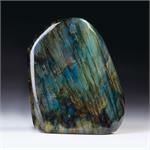 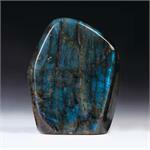 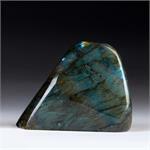 Crystal Properties: Labradorite is a plagioclase feldspar with a triclinic crystal structure. 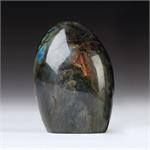 It is treasured for its remarkable play of color (labradorescence), which shows vivid flashes of green, blue, gold, orange, red and sometimes violet. 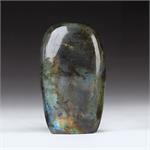 Healing Properties: Labradorite is a gemstone of magic, and it awakens in those who carry or wear it the mental and intuitive abilities which include but are not limited to clairvoyance, telepathy, astral travel, prophecy, psychic reading, access to Akashic records, past-life recall, communication with higher guides and spirits.